session that allows you to program and absorb your own suggestions to successfully achieve the goal you have set yourself. Make sure you experience the full benefit of the Hypnosis Challenge. The Challenge has coached you to erase your subconscious blocks to success. Now complete the experience with this session by finally setting your inner mind on to the true path to success. It is as if you have emptied your cup of blocks to success by completing the Challenge. Now refill that cup to enjoy the life you really want. If you only invest in one hypnosis mp3 session, this is the one you must have because you owe it to yourself. Pay Simply and Safely by Credit or Debit Card or Paypal. Payment System is 100% Secure! Note: If you qualify for the 25% savings offer then have your discount code (from your email) ready. You can enter it after pressing the buy button. You have completed the 4 Step Self Hypnosis Challenge. You now are experiencing the increasing daily relief of having cleared your mind for success and well being. However, we are constantly being bombarded with negative suggestions. These come from the news media, advertising and yes, even from the talk of friends, co-workers, life partners and family members. 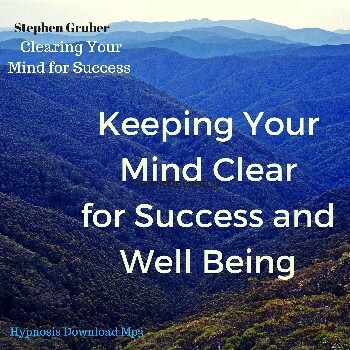 Use this relaxing self hypnosis mp3 each day to keep your mind clear for success and well being. It will coach your mind to just let those negative suggestions of all types to slide off you leaving no negative effects on you. In addition, it provides you with a very positive suggestion to give you the best outlook on your life. 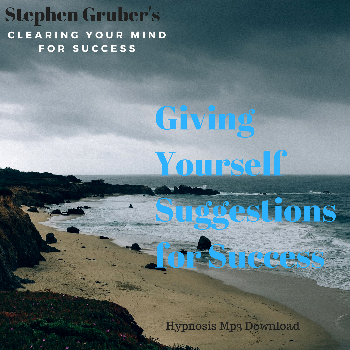 This is a very important and helpful hypnosis mp3 to have for those who have already completed the 4 Step Self Hypnosis Challenge. Make sure it is in your collection because it can be the key to you easily living a successful life and experiencing a daily sense of well being. Do you Qualify for the Special Offer of 30% Savings for Investing in Both mp3s Now?